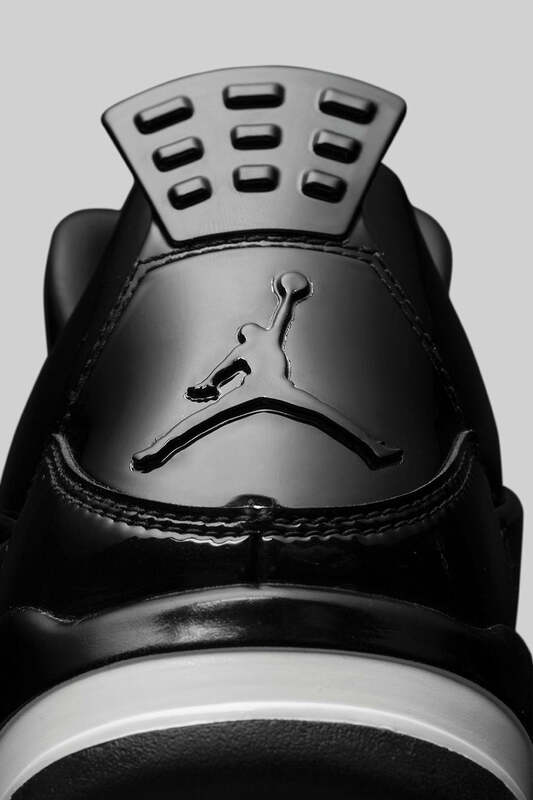 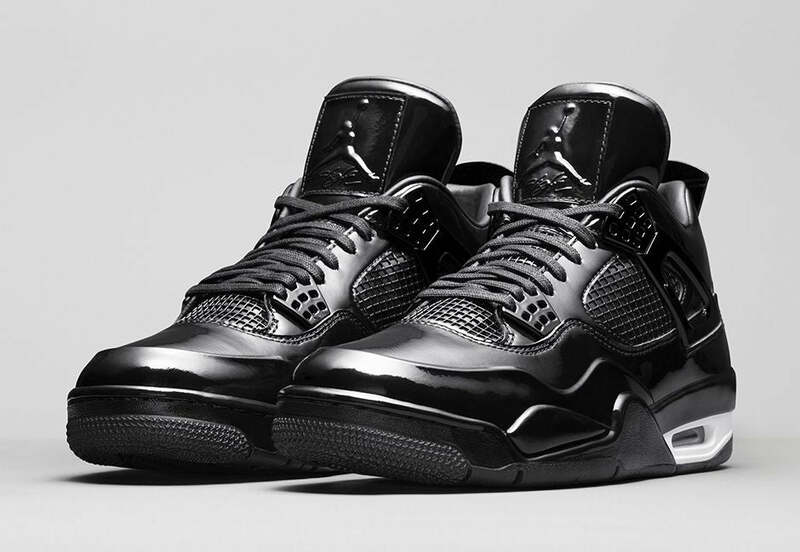 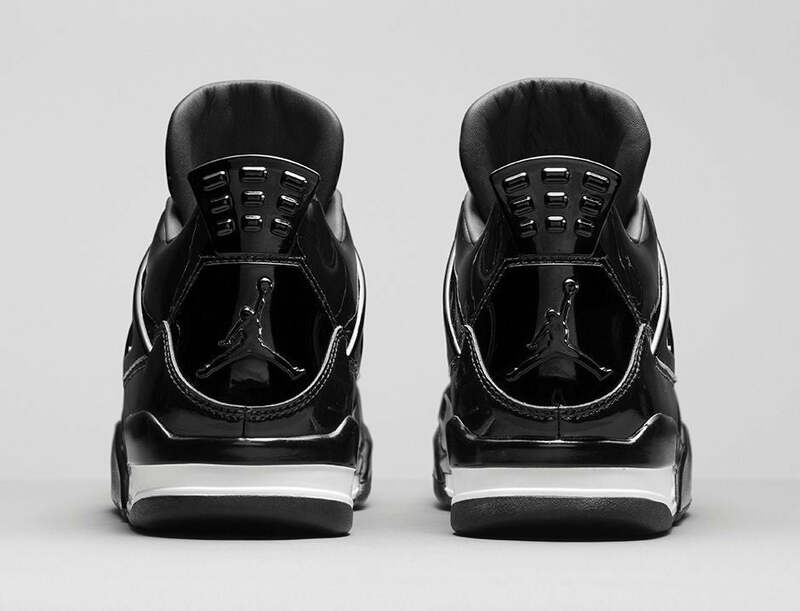 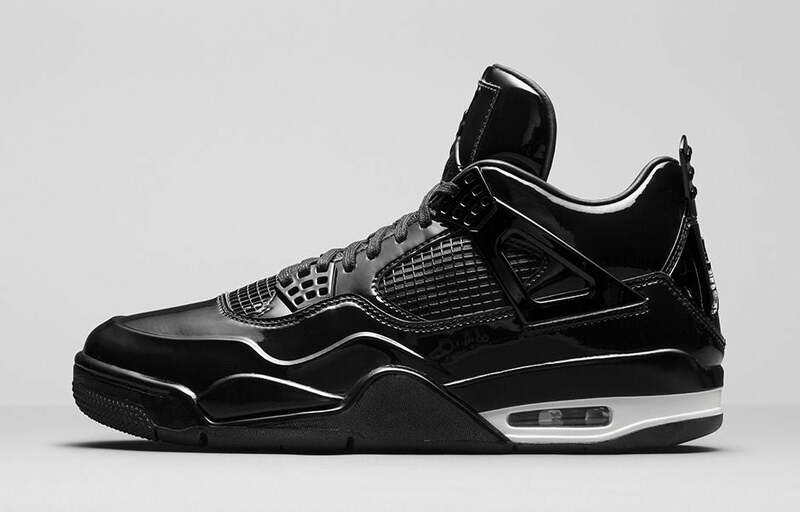 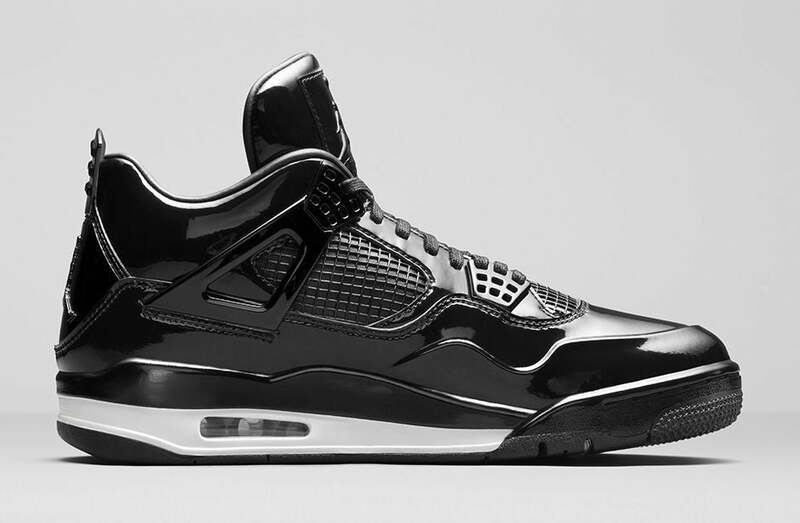 Nike unveil the hybrid Air Jordan 11Lab4 “Black”, which incorporates elements from various Jordan silhouettes, most notably the Jordan 4 and Jordan 11. 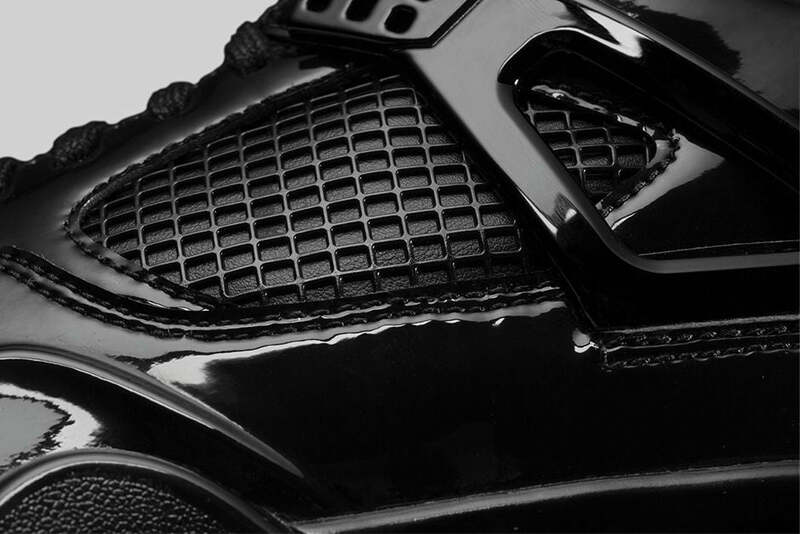 Featuring an all black premium patent leather upper, everything from the laces to the heel tab are also devoid of colour. 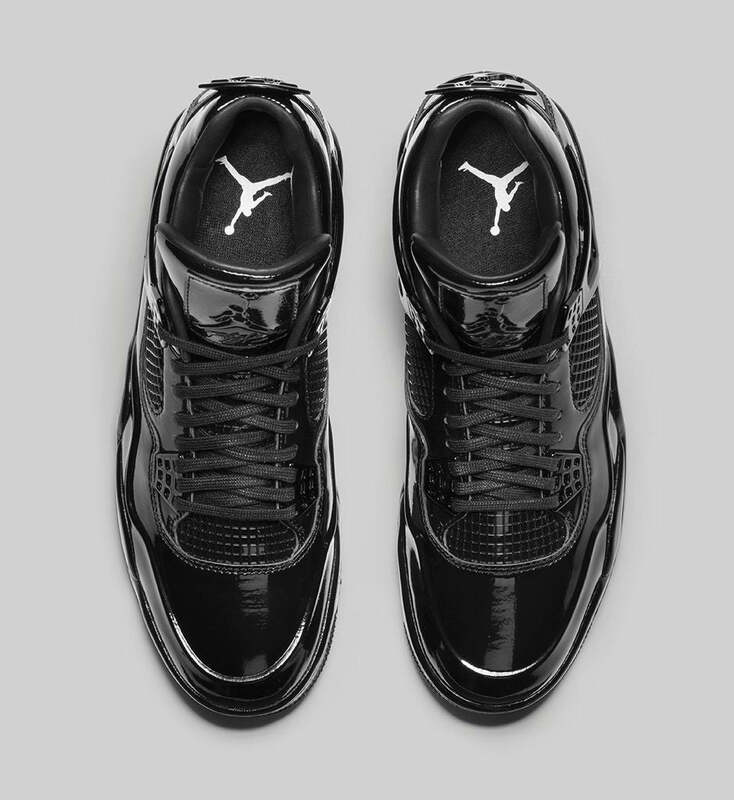 Only the midsole Nike Air cushioning system escapes the stealth wrap, contrasting well with the rest of the futuristic basketball shoe.